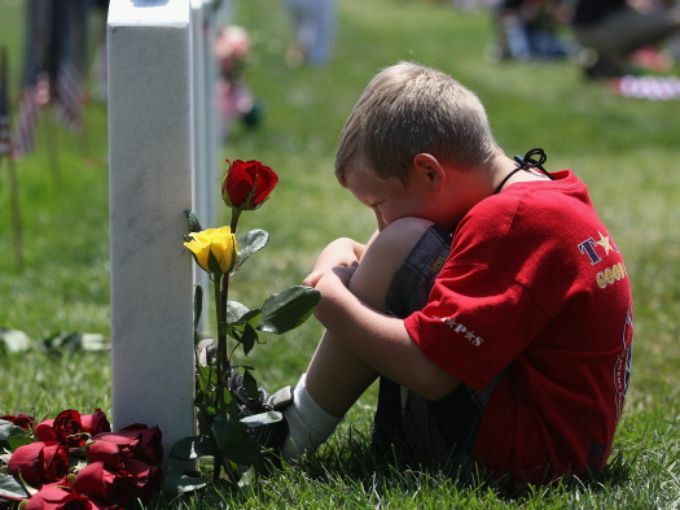 Christian Golczynski, 8, is given the flag from his father’s casket in 2007. His father, Marine Staff Sgt. Marcus A. Golczynski, was killed in Anbar Provice, Iraq, March 27, 2007.